Sundays are always a roast day. I decided I had to make Sunny Anderson’s Coffee Beef Roast after watching her show during the week. What a hit. Hers was very rare though – my boring family doesn’t like rare. ☹ It turned out great all the same. You can adjust your cooking time if you decide to give it a try. Another steal was the Gem Squash Mac n Cheese I got from another group. Great for those abstaining from meat. The broccoli and cheese was just a spin-off from the cauliflower and white/cheese sauce, which is always, always well received. I hope you guys try the beef. Add to roasting pan and pour 1 cup beef stock round beef. Add 1 onion quartered and a few garlic cloves, and 2 bay leaves. Roast in preheated oven uncovered at 170 degrees for 1½ hours. Steam the cauliflower and broccoli until tender in hot water and a vegetable stock pot. Drain properly and leave in a colander to dry while you make your sauce. Once completely drained transfer to baking dish and season with salt, pepper, and aromix. Melt the butter and add the flour. Stir until a smooth paste. Add a little of the warm milk and stir well. Add the rest of the milk and bring to the boil. Add a pinch of nutmeg and a pinch of mustard powder. Stir. Remove from the heat and add the feta, parmesan and Cheese Spread. Stir until melted. Pour the piping hot sauce over broccoli and cauliflower, garnish with paprika. Boil Gem Squash halves till cooked. Discard the pips – scoop out the flesh and retain the shells. Add the flesh to a pot. Using a stick blender or whisk, add the butter and flour and blend on low heat. Add the sweet corn and fresh cream. Add the cooked macaroni and green chili. Toss in your cheese and macaroni and stir till cheese has melted. Scoop back into Squash shells. Top with extra cheese, chili flakes and bake till cheese has melted. 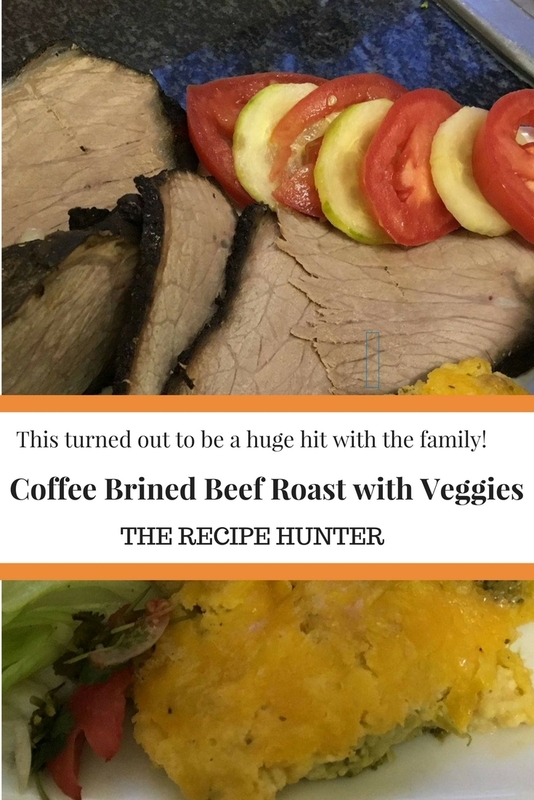 I’ve made this roast and it is delicious according to my son! Coffee-Marinated Road Beef?! I can’t wait to give it a try!! For sure something different, Hope you enjoy it.